I’m pleased to welcome John Rogers today. Thanks for joining me John. First of all, would you tell my blog readers a little about yourself? An American, I was born and raised abroad the son of a diplomat, first, and later a businessman. I lived for the first 18 years of my life in Antwerpen, Paris for 10 years, and later Kinshasa, DRC, where I graduated from high school. I hold a B.A. degree in French literature and my plan was to teach French at the university level, a language in which I am fluent. But my plan went awry, as many do. After a stint with the U.S. Government after university I went on to a career in government relations and later productivity consulting. I moved from the East Coast (Washington, DC) to the West Coast (greater Los Angeles area) where I worked for a major aerospace defense contractor and employed my writing skills across many different departments. I also spent a year studying the craft of short story writing at the University of California, Irvine, Division of Continuing Education. I am now retired and have devoted the last 11 years to writing novels of which I have self-published seven along with a collection of short stories, of which six have been published. I live in Orange County, California with my partner and our basset hound. Always an avid reader going as far back as I can remember—my parents were both obsessive readers—I can only imagine that their interest and my international upbringing fuelled my imagination to write. I began initially with short stories written during my university years and unsurprisingly most of them were set in the countries I had lived in. I remember being awed by the craftsmanship in the stories of William Trevor and the fiction of Hemingway, William Maxwell and Irwin Shaw. In later years I began to dabble with writing novels. Far away settings and exotic locales that seemed to draw me, and have been the settings of my novels, have included Cayenne, former French Guiana; Montevideo, Uruguay; Dinard, France; Famagusta, Northern Cyprus; Novorossiysk, Russia and Asmara, former Italian Eritrea, the setting for my latest novel. By “publication” I mean self-publishing a novel. Publishing with Amazon and Smashwords has become ridiculously simple and, though I send out many dozens of queries to literary agents with every novel I write, I have struggled to become published. Like many novelists who have yet to secure representation I continue to believe I will succeed eventually. The key is to keep writing and not give up. 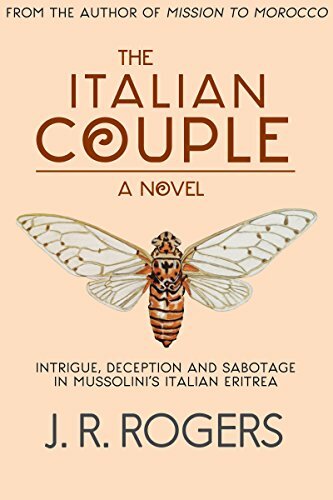 It is an atmospheric historical thriller of subterfuge and illicit love with a menacing plot set in Mussolini’s 1939 Asmara, Italian Eritrea. I don’t know to be honest. I was writing and about three-quarters of the way through when the title suddenly came to me and I liked it at once though I thought about it for a few months. In the end I decided it stated rather succinctly the theme of the novel without being obscure. I am currently at work on an untitled novel set initially in 1940 Paris as the Germans occupy France. The story then moves to Lisbon that same year and evolves, over an as yet undefined period, in Lourenço Marques, Portuguese Mozambique. 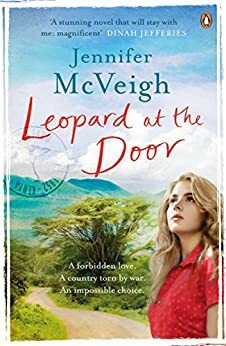 It is the story of Rudolf and Aleece Bamberger, a young German-French Jewish couple fleeing the Nazis who move to Africa and become embroiled in espionage. Lourenço Marques in the early 1940s had gained a reputation as the most alluring city in Africa; it was an intelligence listening-post and a hotbed of secret agents and spies. 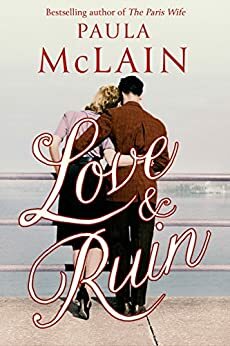 I just finished Paula McClain’s novel Love and Ruin about Hemingway’s passionate and stormy second marriage to the war correspondent Martha Gellhorn set in the 1930s (June ’18). 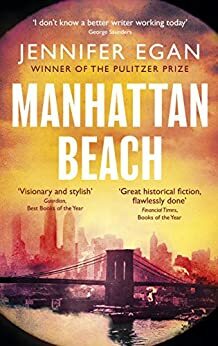 Currently reading Manhattan Beach by Jennifer Egan (July ’18) set in 1940s New York. There are many but I’ll begin with my own The Italian Couple and maybe Leopard at the Door. 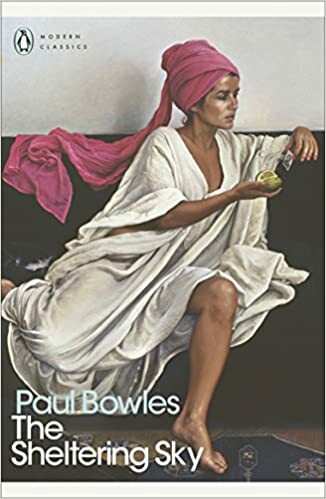 This goes back many years to a rather famous 1949 novel set in Morocco that not many have read today: The Sheltering Sky, by Paul Bowles. I would want to have been Port Moresby (married to wife Kit) because he is richly unconventional, listless and an adventurer.